The Greenbrier School of Practical Nursing is located in Room 132 (Section "A"/A Building) on the campus of Greenbrier East High School. The school began in 1975 as the Region IV School of Practical Nursing. In 2003 the name was changed to Greenbrier School of Practical Nursing (GSPN). We have been involved in providing competent practical nurses to the Greenbrier Valley and beyond for over 40 years. Our students/graduates are a part of the community and are valued for their contributions. Application Deadline has been extended to June 1, 2019. Please call our office (304-647-7114) as soon as possible to start the admission process. The purpose of this admission policy is to provide a record of the requirements and procedures necessary for an applicant to be considered qualified for admission to the GREENBRIER SCHOOL OF PRACTICAL NURSING. The requirements will be in accordance with the admission requirements recommended by the West Virginia State Board of Examiners for Licensed Practical Nurses. 1. Applicants must have a recognized (meaning accredited by the United States Department of Education) high school diploma, an official high school transcript, or results of the General Education Development Test (GED)/Test Assessing Secondary Completion (TASC) showing satisfactory performance; and official grade transcript. a.	Science-oriented background is recommended. b. Advanced math courses are recommended. b.	CASAS with high-intermediate level score. 3. Official transcripts from secondary and postsecondary schools attended must be on file in the school office. High school diploma and/or GED/TASC results will be verified as needed. 4. Applicant must submit proof of completion of CPR/First Aid course prior to the first day of clinical. 1. Immunizations as recommended by the Centers for Disease Control (CDC), GREENBRIER SCHOOL OF PRACTICAL NURSING, and Greenbrier County Health Department. Required: PPD test, Tetanus and Diphtheria vaccine/Tdap, MMR, Varicella, Hepatitis B, and Influenza vaccine. 2. Pre-entrance dental examination and clearance/repairs by family dentist. 3. Pre-entrance physical examination and clearance by a healthcare provider. 4. Proof of current health insurance coverage. Three written letters provided prior to interview. Appropriate individuals to provide personal references include a teacher, counselor, or employer. 1. Interested person applies to the school by phone, email, Adult Education or other referring agencies. 2. Contact Adult Education Center to take Test of Adult Basic Education (TABE). 3. Application form and brochure are sent to applicant by mail/via internet. 4. Application and non-refundable $25 processing fee must be completed and returned to the school. 5. Applicant registers for the pre-admission examination. The cost of this exam is $50.00. 6. Applicant takes the pre-admission examination. a. Applicant who did not make acceptable score is notified and referred to Adult Education for remediation prior to re-testing. b. Applicant with satisfactory score is notified and an interview is scheduled. 8. Applicant makes an appointment for an interview. 9. Applicant requests three professional reference letters and official high school transcript to be mailed to the school. 10. Applicant completes federal criminal background search at applicant’s cost. 11. Applicant interviews with the Interview Committee (composed of Nursing Faculty, Advisory Board Members and Adult Education). 12. Interview Committee evaluates the applicant’s record. 13. Applicant is notified of the decision of the Interview Committee. 14. Applicant writes and submits a letter of intention to the Coordinator with payment of $50.00 seat holding fee. This payment is non-refundable and is payment toward your tuition. a. Physical Examination – requires the following diagnostic tests: Complete Blood Count, RPR, Urine Drug Screen testing, immunity titers, and any other tests or x-rays that may be necessary to clear health status. The exam is to be completed by the applicant’s primary care provider and must be returned by the date requested by the school. b.	Immunization/Titers form – to be completed by his/her health care provider or health department and to be returned the date requested. c.	Dental record – to be completed by his/her dentist and returned the date requested. c.	Dental Form, which indicates that dental health is satisfactory or that repairs are scheduled. 17. Acceptance into the program is contingent upon documentation of physical/immunization/dental requirements, the results of the criminal background check, and successful completion of the LPN-preadmission requirements through Adult Education (participating in Jump Start program). 18. Applicant attends orientation meeting. 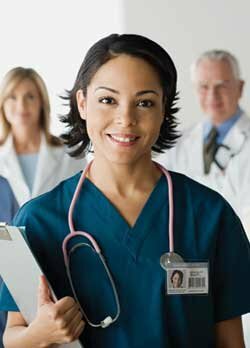 Note:	THE WEST VIRGINIA STATE BOARD OF EXAMINERS FOR LICENSED PRACTICAL NURSES RESERVES THE RIGHT TO REFUSE TO ADMIT APPLICANTS TO THE LICENSURE EXAMINATION WHO HAVE BEEN CONVICTED OF A FELONY, ARE HABITUALLY INTEMPERATE, ADDICTED TO THE USE OF HABIT FORMING DRUGS, OR ARE MENTALLY INCOMPETENT. THE APPLICANT WILL BE REQUIRED TO CONTACT THE WEST VIRGINIA STATE BOARD OF EXAMINERS FOR LICENSED PRACTICAL NURSES TO DISCUSS THE POTENTIAL IMPACT OF A CRIMINAL CONVICTION ON THE APPLICATION AND LICENSURE PROCESS, PRIOR TO APPLICATION. The school cannot refuse to educate anyone who meets the admission criteria, but applicants must understand that the state board could deny licensure or the opportunity to sit for the NCLEX-PN examination. March 6 and 20; April 10 & 17; May 1 & 15; June 5 & 12. You MUST contact our office (304-647-7114) for more information on scheduling your date for this exam. This 2 week session is designed to assist students in preparing for the upcoming LPN program prior to the start of the school year. NOTE: Prospective Class of 2020 students will be required to attend the entire 2 week session in order to meet the Admission requirements to the program.